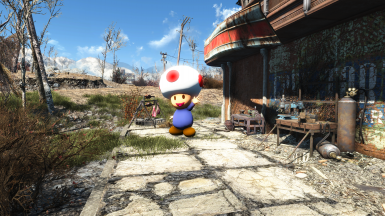 Contains everything needed for you to build this custom made Toad at any and all of your Settlements. 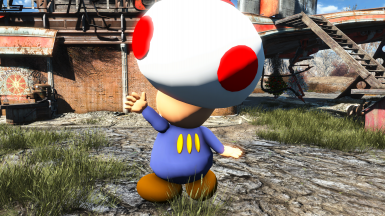 No Nintendo assets are used in this mod! Contains the ESL File only. 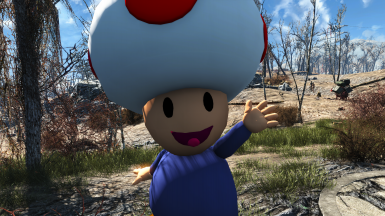 Main File required for this to work in game. 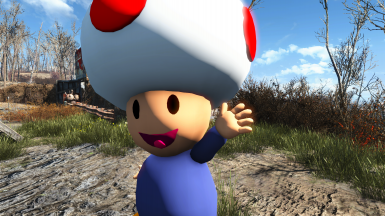 This is the Toad that I made from pool balls in Outfit Studio in OBJ form. 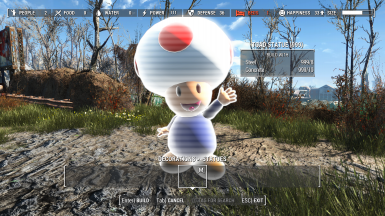 This is not a mod just a resource for anyone that might wanna look at it or use it themselves (follow the permissions please).